Yamanto Dental, Ipswich was founded to serve the Yamanto and surrounding Ipswich communities. We pride ourselves on providing comprehensive, pain free and quality dentistry in a relaxed environment. Our facilities are modern and up to date with the latest technology and materials6km from Ipswich CBD. The Dentists at Yamanto Dental are happy to answer any questions about your teeth and discuss with you the various options available as well as their associated costs. 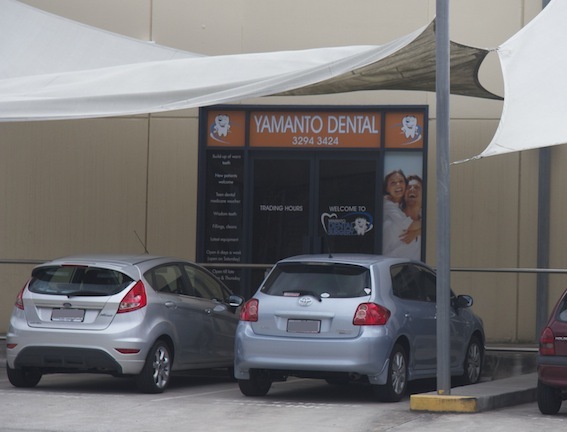 Yamanto Dental is located behind Priceline and Snap Fitness, at the Yamanto Village Shopping Centre, and only 6km away from the centre of Ipswich, Queensland. At Yamanto Dental, Ipswich we provide all facets of dentistry to ensure that our patients receive the complete care they deserve. If you would like an appointment, please call our friendly reception on 3294 3424. William was born and raised in Brisbane and is a graduate of Brisbane State High School and the University of Queensland. Kay lived in Melbourne prior to moving with her family to to sunny skies of south-east Queensland where she did her dental assisting training.